This original Judge 1892 cartoon comes from American, now updated to illustrate our present day bankrupt British Rail. Politician’s Sitting on Action to Re-Nationalize British Rail vs Stagecoach & Virgin for Profit Only. 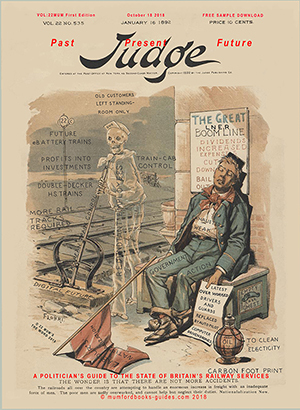 political cartoon print DOWNLOAD (Future eBattery Trains) – This original Judge 1892 cartoon comes from American, now updated to illustrate our present day bankrupt British Rail. I have highlighted the past failings of under investment, the employment of private firms like Stagecoach and Virgin, company’s interested in profit’s only. With Governments forced to pick-up any losses, just to keep the services running. Our railways are nearly 200 years old, most of the rail tract is almost unchanged. Our motorways require many improvements to roads and carbon free vehicles. The same for our railways, as cars are electrified, so too our trains. British Rail-track should plan to double the number of lines, raise the height and width of its bridges. The trains and coaches will be double-decker, cleaner, faster and a place where your ticket demands a seat with no standing allowed. I know this is wishful thinking, lets unite with Joe Public and show a John Bull’s spirit. 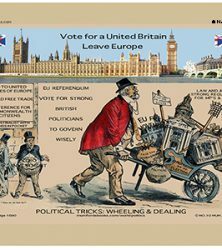 Latest Political Cartoon Downloads and Prints below from mumfordbooks. 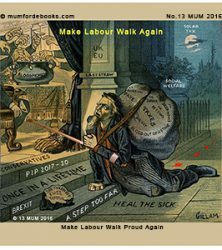 Mumfordbooks Political Cartoons, our visual manifesto to the British people. 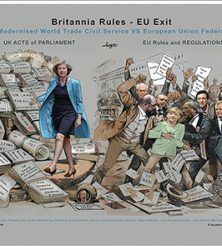 Each unique cartoon tells its own story, based on United Kingdom, united to Scotland in 1707, divided by SNP politics and Brexit. I realise the political cartoons are not “funny cartoons”. They are a warning to us all. By not correcting these major problems, we will make them worse. 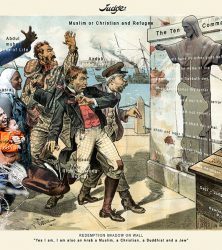 These political cartoons started life in America in 1880’s, published by PUCK and JUDGE. I have selected and redesigned these to relate them to the present time. Their message shows the public a political visual map.